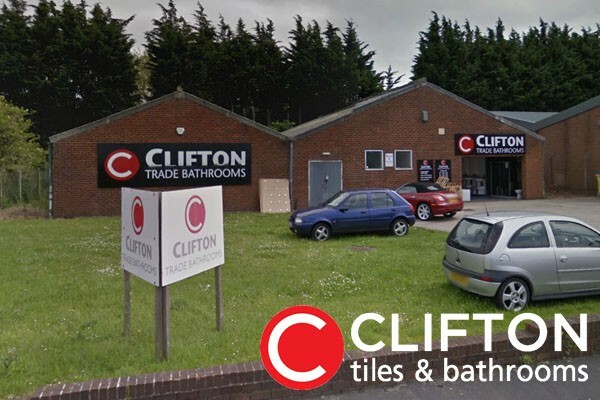 Our Clifton Trade Bathrooms Chester depot has been on Hartford Way on the Sealand Road Industrial Estate since 2005, and we serve customers from as far away as Wrexham and The Wirral. 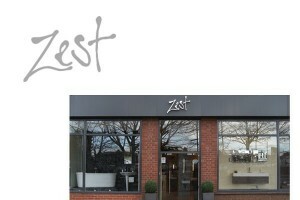 We are just a minute along the road from the Tesco car park entrance, so not that hard to find! There’s plenty of parking at the front of the depot. 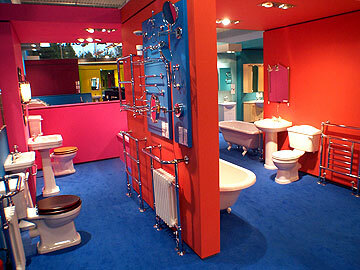 Since we opened, we have supplied tiles & bathrooms to over 7000 customers. 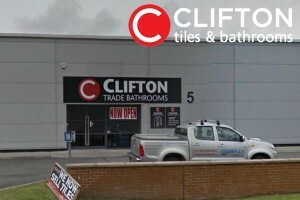 Matt, the Clifton Trade Bathrooms Chester depot manager, has been running the depot since 2011 and will be happy to help you sort out your Chester tiles & bathroom. This is the most awful business I’ve ever had the misfortune to come across. 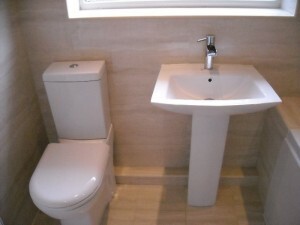 Cliftons was recommended to us by our bathroom fitter after we had already ordered a bathroom suite from another company, the staff at Cliftons convinced us their products were superior in quality and we were making a mistake if we continued with our order from the other (well known, national) business – I wish we hadn’t listened to them! 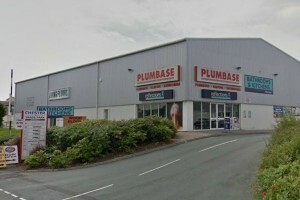 They got nearly every item on our new order wrong, we had to return to the store in Chester and swap over most of the tap and shower fittings, the bath we ordered had a big scuff on the inside where the protective wrapping had come away. We arranged for a re-delivery and checked for similar damage – unfortunately we hadn’t noticed until the fitter was putting in the bath a few weeks down the line that Cliftons had not only supplied us with the wrong bath but it was again damaged (this time it was under the protective wrapping). We returned to Cliftons once again and spoke to the man in charge. He admitted that they had supplied the wrong bath but because it had been fitted he wouldn’t accept it back nor would he accept that the damage was already there, despite the assurances of our fitter who had praised Cliftons so highly. The attitude of this company was appalling, the boss argued with us that he was self-employed and we shouldn’t expect him to lose money over our problem, my partner and I are self-employed too so this argument didn’t go down very well! Especially as we understand how important it is to treat your customers with respect and rectify all mistakes you make even if they’re at a cost to your profits. We were offered another bath at a cost of £100 or £50 compensation. We weren’t willing to hand over any more money to this company and because of the time delay between delivery and fitting we felt like we had no choice but to accept the offer of £50. The final insult came when the shower was being fitted, because we now had a different bath, the fixed shower head that Cliftons supplied was no longer suitable. After test fitting the shower arm and head over the new bath we found that the water flow would fall a few few inches behind where you’d be standing and since the head wasn’t adjustable you’d have to lean forward just to get your head under the water flow. We thought (stupidly) that since it hadn’t been fitted nor was it damaged that Cliftons would agree to the return, especially since the shower head was resell-able , we were wrong! We had the immense misfortune to deal with the same man again, who was extremely rude, we were told that because the first company we had ordered with had sold the shower controls and head as a complete set Cliftons had price matched them, but Cliftons had produced an invoice that showed the entire cost on the shower controls and zero value on the accompanying shower head and arm so because of this we were told that they owed us nothing! Further more the boss berated us in front of the other customers and staff that he had already “bent over backwards to help us!” We didn’t challenge him, there wasn’t a point but we left feeling extremely upset and angry. Because consumer rights have such grey areas any legal case we have is limited by the timescale between delivery and fitting, but buying a bathroom is not so black and white as it can be with other purchases, So now we are faced with ordering a new shower head from our original choice of company at a further cost. After the amount of stress and money this company has caused us I hope I never have to deal with Cliftons again and I’d advise everyone to avoid them at all costs!